Snacking is so entrenched in our society now it’s no longer a trend but the new national pastime. Nearly all Americans (94%) snack at least once a day, according to recently published Mintel data. And the frequency of snack occasions is increasing. Half of all adults (50%) report they snack two to three times per day. Americans aren’t the only ones snacking—it is truly a global phenomenon with Nielsen reporting the global snack market topping $374 billion in sales. And nuts ands seeds as ingredients feature prominently within this snack segment. According to Innova Market Insights nuts and seeds accounted for more than 37 percent of global snack food launches in 2013 and nuts’ share within the snack category continues to grow. Another product experiencing phenomenal sales within snacking is ready-to-eat (RTE) popcorn. The RTE popcorn/caramel corn category, according to IRI, witnessed sales increases of 18.17% in a single year (May 2015 compared to May 2014). Multiple individual brands saw sales of their products skyrocket more than 100% during this time period, contributing to the impressive overall category sales increase. Part of the reason behind an improved outlook for nuts and popcorn is the emphasis on healthy snacking. Driving this growth for better-for-you (BFY) snacks are Millennials and Generation Z—the demographic cluster of those ages 23 and younger. These combined population segments have positive attitudes about snacking, a desire to eat more healthfully and a need for convenience. Both nuts and popcorn fit into this BFY snack trend perfectly. RTE popcorn, with its low calorie count, is an almost guilt-free food. The health benefits of various types of nuts are well-known. Nuts are popular eaten alone, or incorporated into nutrition bars or trail mix. 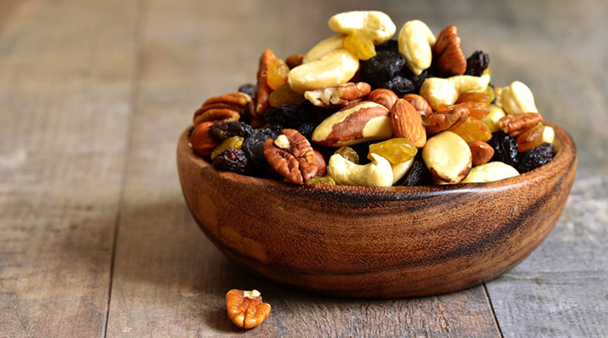 Trail mix combines ingredients consumers perceive as healthy, such as nuts, seeds and fruit, or can include a touch of chocolate for a grand slam win. AC Horn Manufacturing manufactures quality equipment for efficient processing or production of nuts, seeds, popcorn and kettle corn to allow manufacturers to take advantage of these growing market segments. Selecting the right piece of equipment for processing nuts and seeds, or for popcorn is crucial to maintaining profit margins and ensuring that a quality product is going out the door. Improve your throughput with a piece of reliable equipment designed to last for decades.